Urban shallow lakes are an important resource in our watershed district, supporting a variety of wildlife and enjoyed by many local residents. 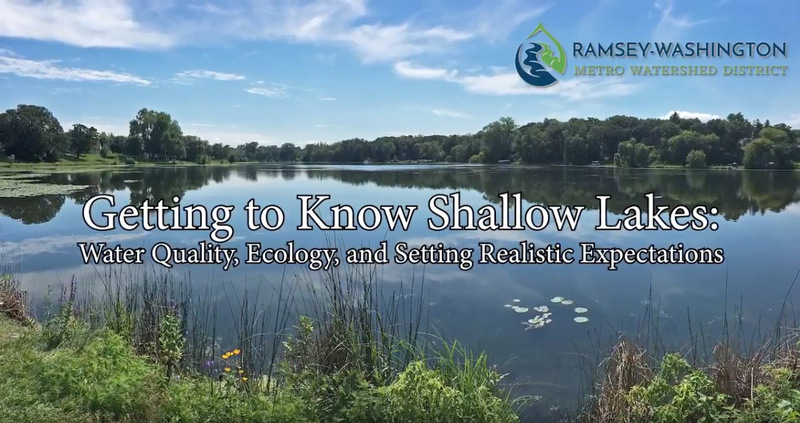 The educational video, Getting to Know Shallow Lakes, includes background on shallow lakes ecology, along with perspectives on the value of clean water and healthy habitat. 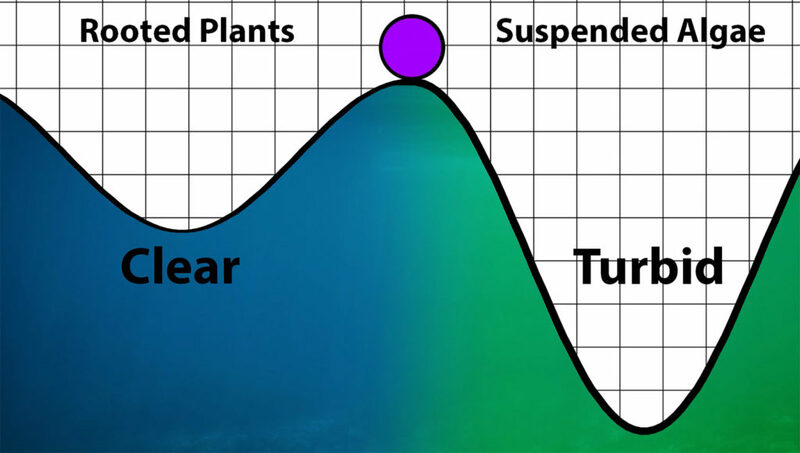 “Balancing the ball” to maintain moderate water clarity and plant growth for a long period of time is not possible on most shallow lakes. Eventually, these lakes fall into either a clear state with abundant rooted plants, or a turbid state dominated by algae. Shallow lakes exist in either a clear state dominated by rooted aquatic plants, or in a turbid state dominated by algae. Turbid lakes are marked by poor water quality and are often home to large numbers of carp, which stir up nutrient-rich sediment from the lake bottom. When carp are removed from a shallow lake, people are often surprised at the amount vegetation that can flourish under clear water conditions. In some cases, this perception of “too much vegetation” leads residents to seek aquatic plant management options like herbicide treatment or mechanical harvesting. Since Minnesota does not have an agency tasked with managing aquatic plants (the DNR only provides permits for aquatic plant control and some cost-share funding), these efforts are usually directed by local lake associations, cities or counties. As we work to improve the water quality of shallow lakes, it is important to set realistic expectations for recreational use – and to find value in these important ecosystems.